Offset home loans are a popular buzz term which people use, whether they are actually useful or just costing you money depends on your circumstance. What is an offset home loan? An offset loan, is a home loan which has one or more separate transaction bank accounts attached to it. The credit balance in the transaction account(s) are applied against the loan balance in the calculator of interest. For example my home loan balance is $100,000 and I have $4,000 in my transaction account, when the bank is calculating interest on my loan, interest in calculated on $96,000 ($100,000 - $4,000 = $96,000). Do I need an offset home loan? In theory an offset loan sounds great, your everyday money works to help reduce the interest you pay your bank, helping you pay your loan off faster. If only everything was that simple. Most banks will charge you for this product feature and in some cases you might actually be worst off with an offset account. Banks will often charge you a higher interest rate, an annual fee or both to have an offset account feature on your loan. In a lot of cases the additional cost out weights the actual benefit of an offset account. What fees do banks charge for an offset? Fees on an offset home loans will vary from bank to bank, one lender charges an annual fee of $398 on their offset home loan product, where another charges only $199. Speaking with a mortgage broker will help you find a suitable loan for your situation. Do you earn interest on an offset account? You do not earn interest on an offset account, instead the value of the interest you would earn in a traditional savings account is used to reduce the interest you pay on your home loan. By not earning interest, it avoids any benefit becoming taxable. What if the balance of my offset is greater than my home loan? If the balance of your offset account is greater than your home loan, you will not earn any additional benefit. You should put your surplus	funds into a seperate savings account. An offset account is a seperate bank account, with its own BSB and account number. The offset account will be linked to your loan account and the value of any interest earnt is used to reduce the debt interest calculated the linked home loan account. 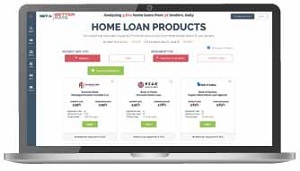 A redraw facility is a home loan product feature. A redraw feature allows you access to additional payments made on your home loan, these are additional loan repayments above your contractual payment. Does an offset account reduce my repayments? No, the amount of your loan repayments does not change as a result of having an offset account. What does change is the percentage of principal you pay off each month, compared to the amount of interest. This means you are paying the principal of your loan off faster. How much interest can I save? How much interest you save with an offset account depends on your circumstance. For example if you have a home loan of $400,000, with an interest rate of 4.00% and your average balance in your offset (transaction) account was $5,000 you would save $204 in interest over a year. If you only have a minimal balance in your account, then reducing the average balance to just $2,000 would only save you $81 a year. Should I have an offset home loan? To determine if an offset home loan might be right for you contact Get a Better Rate. With over 15 years' experience working for banks and with access to over 40 different lenders. We can sit down with you and help you determine what product might best meet your requirements.